​Liverpool are still interested in Leicester City full back Ben Chilwell, who has been valued previously at an eye-watering £75m. The Reds were linked with Chilwell before the arrival of Andy Robertson from Hully City for just £8m in 2017, and one report claims Jurgen Klopp could revisit the possibility of a move for the England international this summer, as he seeks backup for the Scotland captain. Italian news outlet ​Calciomercato mentions ​Liverpool in connection with the 22-year-old, calling him a 'target'. The short report also name-checks ​Manchester City, who are known to want stern competition for the injury-prone ​Benjamin Mendy. 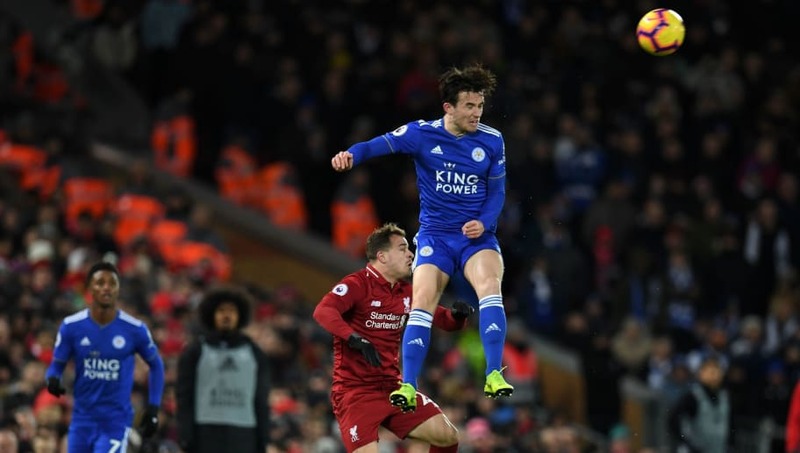 Earlier this month, ​a report predicted that any suitors may have to break the world record transfer fee for a defender, if they want to sign Chilwell - such is his importance to Leicester. Chilwell has enjoyed a hugely impressive couple of years at the King Power Stadium since his debut in 2016, displacing Premier League winner Christian Fuchs as the starting left back. As the academy graduate nears his 100th Foxes appearance, Chilwell is now a fixture in Gareth Southgate's England set-up and has won five caps since his debut in September, where he became the first player to make his Three Lions debut at his club ground since Paul Scholes at Old Trafford in 1997. Chilwell has missed just two Premier League matches this season, playing every minute of the other 29 games and registering three assists, with new ​Leicester boss Brendan Rodgers admitting that he tried to sign the left-back during his spell at Anfield. Speaking in his press conference last Friday, Rodgers revealed: “He wasn’t even in the first team then. But we were looking for a left back and he was right at the top of the list. “We didn’t get to the ‘nearly there’ as Leicester were obviously going to protect their assets. The club were keen to keep him here as he was a boy that was recognised as a talent at the time." With Rodgers clearly fond of his young defender, it's no surprise that Leicester would demand such a high transfer fee for Chilwell, whose current deal was only extended in October and runs until 2024. While City may well attempt a big money move for the full back this summer, Liverpool's interest seems scarcely believable considering the reported price tag and form of Robertson. As a result, ​the Reds seem far more likely to look for a cheaper solution who can act as backup when Alberto Moreno leaves on a free transfer this summer.